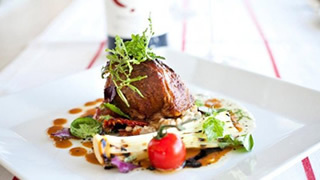 The beautiful Polo Club Restaurant is situated on the Val de Vie Polo Estate between the towns of Franschhoek and Paarl. The Polo Club Restaurant and Black Bar lies at the heart of the Val de Vie Lifestyle Estate outside Franschhoek and overlooks pristine polo fields. With exceptional views of the mountains and the estate, the relaxed bistro-style Polo Club Restaurant offers a unique dining experience. The Polo Club Restaurant has created a sensational fusion menu that celebrates the flavours of the finest local produce. Every vibrant dish unpretentiously hits the spot and finds the perfect balance between casual and fine dining. The Polo Club Restaurant and Black Bar is a wonderful venue for private functions, whether you’re planning and intimate dinner party or a special celebration.